[SatNews] Unfortunately, most of this highly valuable data remains under-utilized, trapped within stovepiped software systems that are strong on monitoring but have only limited capability to correlate related data across tools. Kratos Defense & Security Solutions, Inc. (Nasdaq:KTOS), a National Security Solutions provider, announced today that its Kratos Integral Systems Europe (Kratos ISE) subsidiary has delivered a powerful new Satellite Business Intelligence (SBI) dashboard to Es'hailSat, the Qatar satellite company. The SBI dashboard will enable the operator to leverage advanced Big Data technology to better manage service levels and optimize satellite operations. 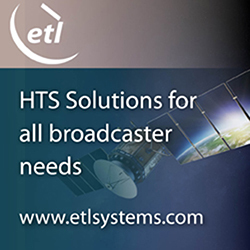 Satellite operators such as Es'hailSat gather enormous amounts of performance and management data through a variety of ground systems working 24x7, ranging from terrestrial network performance to signal interference, payload data, satellite telemetry and much more. Unfortunately, most of this highly valuable data remains under-utilized, trapped within stovepiped software systems that are strong on monitoring but have only limited capability to correlate related data across tools. Es'hailSat sought to overcome these limitations and engaged Kratos ISE to apply the latest advances in Big Data analysis to create an SBI dashboard that would focus on satellite-specific Key Performance Indicators (KPI). Kratos ISE and Es'hailSat worked closely together on the project, with Es'hailSat defining the KPIs and business information most important to operating its business and Kratos architecting the analytics and dashboard that correlates data from across multiple tools. Kratos ISE was the choice for the project because of its experience in data analysis and is the developer of many of the solutions satellite operators use for certain ground segment functions. These include: Monics®, the industry's leading carrier management solution; Compass® for network Monitoring & Control (M&C); EPOCH® IPS, the leading satellite fleet Command & Control (C2) system; and more. "The Kratos-built SBI dashboard provides the level of information we need to monitor our satellite operations from both business and technical perspectives," said Zoubair Kachri, Chief Technical Officer for Es'hailSat. "As a new operator in Qatar, we are excited to use this Big Data technology, and we look forward to extending it as we identify new relevant information to incorporate." The new dashboard integrates data from the variety of Kratos systems and other third-party tools that help Es'hailSat manage to its Service Level Agreements (SLA). Key areas include Radio Frequency (RF) information derived from Kratos' Monics product, data from commercial receivers through Kratos' Compass product that contributes information about image quality, and even visual checks from operators, to name just a few. Employing rules defined by Es'hailSat, the correlated data helps automatically determine whether services are healthy, at risk or degraded. KPIs are assessed across a large number of carriers for a complete picture of overall business and service performance, and Es'hailSat can archive these indicators for weekly, monthly and other periodic reporting. The dashboard is configurable to easily add new carriers, services, rules and parameters. "We are delighted to be able to help Es'hailSat blaze new ground in applying Big Data to satellite operations," said Bruno Dupas, President of Kratos ISE. "The SBI dashboard will produce actionable business information from complex sets of data to support real-time reports and analysis that can help satellite operators like Es'hailSat streamline their operations and generate predictive analysis across ground segment parameters." 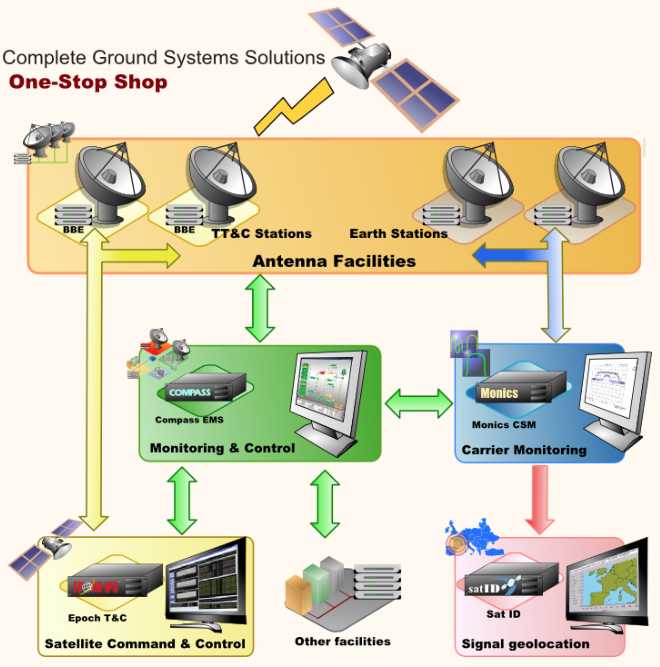 Kratos ISE offers turnkey ground segment solutions encompassing C2, RF/IF equipment, satellite and terrestrial communications signal monitoring systems, equipment and network management and payload management solutions. For 30 years, Kratos has been the leading provider of satellite control systems, supporting hundreds of commercial, government and defense missions on five continents. For more information, visit. Kratos Defense & Security Solutions, Inc. (Nasdaq:KTOS) is a specialized National Security technology Company providing mission critical products, solutions and services for United States National Security. Kratos' core capabilities are engineering, manufacturing and system integration offerings for National Security platforms and programs. Kratos' areas of expertise include Command, Control, Communications, Computing, Combat Systems, Intelligence, Surveillance and Reconnaissance (C5ISR), satellite communication systems, electronic warfare, unmanned systems, missile defense, cyber warfare, cybersecurity, information assurance, and critical infrastructure security. Kratos has primarily an engineering and technically oriented work force of approximately 3,600. Substantially all of Kratos' work is performed on a military base, in a secure facility or at a critical infrastructure location. Kratos' primary end customers are National Security related agencies. News and information are available at.